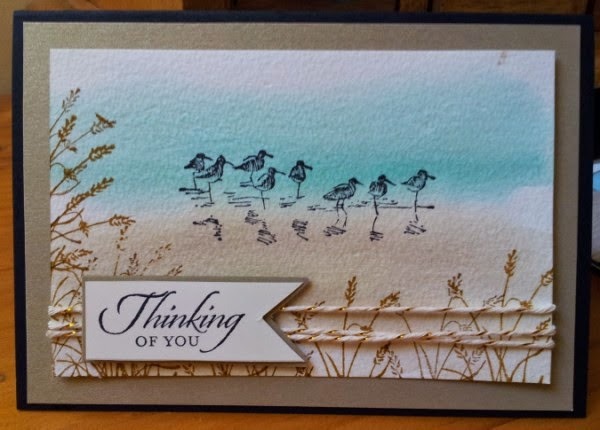 I enjoyed playing with this the stamp set Wetlands! It's so easy to create a mini work of art. This is the second card we made yesterday at my class. I made two the same with different sentiments. The background is made with the help of our watercolour paper which is heavy duty to enable it to take liquid. 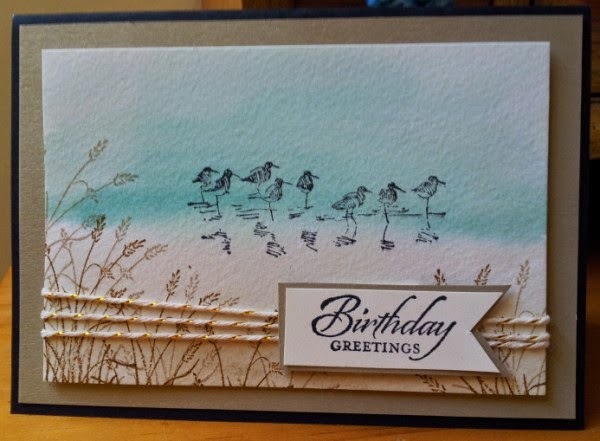 We wet the front of the card with plain water then added colour using our Aqua painter direct from a drop of reinker - we used Pool Party and Crumb Cake. I love how easy it is and how different each one is! 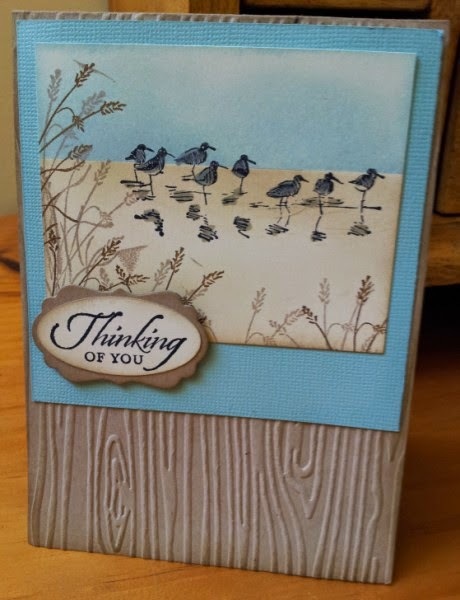 This is another c ard using the same stamp set - Wetlands - but this time I sponged the background. 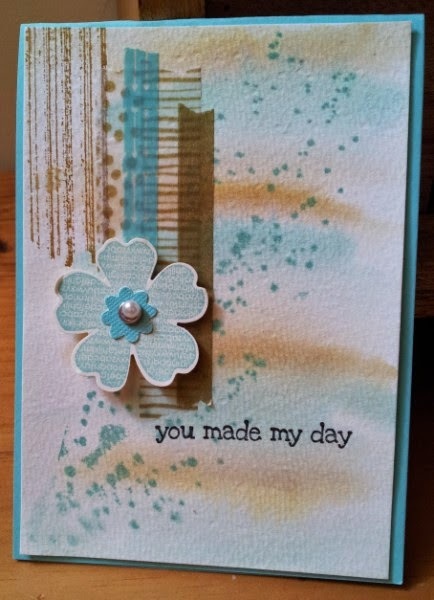 The 'you made my day' card was made using the same method as the first two - this was the card I made at our last team training with my upline Jacque. 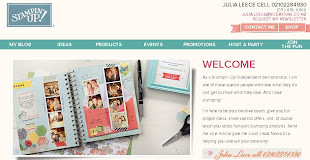 It was fun to use 4 different Washi Tapes as well as the Grunge stamp set. Photopolymer Stamps are NOW available!! SO COOL! !